An adaptive control system has to be built on top of a robust digital control system. Therefore robustness issues for the underlying controller and the shaping of the sensitivity functions for various possible values of the plant parameters are very important. After a review of some basic robustness concepts, a methodology for shaping the sensitivity functions is presented. 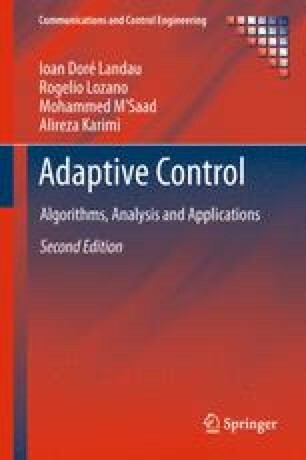 Its application is illustrated in the context of adaptive control of a flexible transmission.